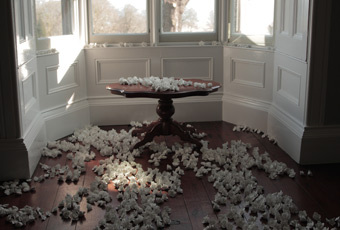 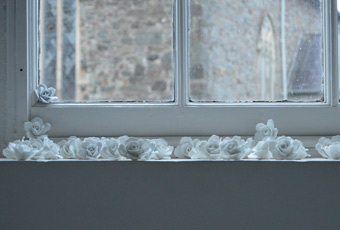 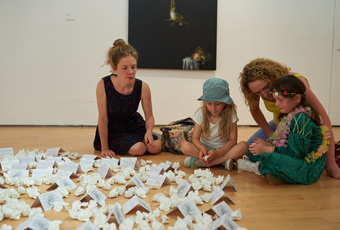 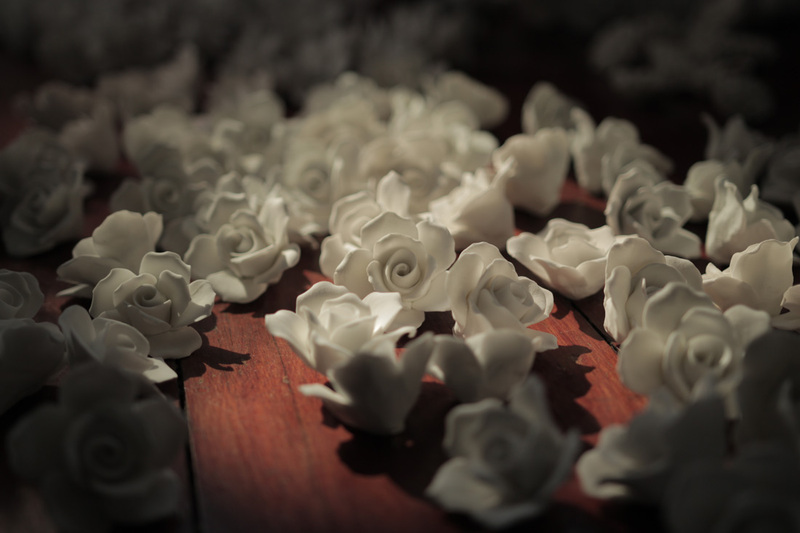 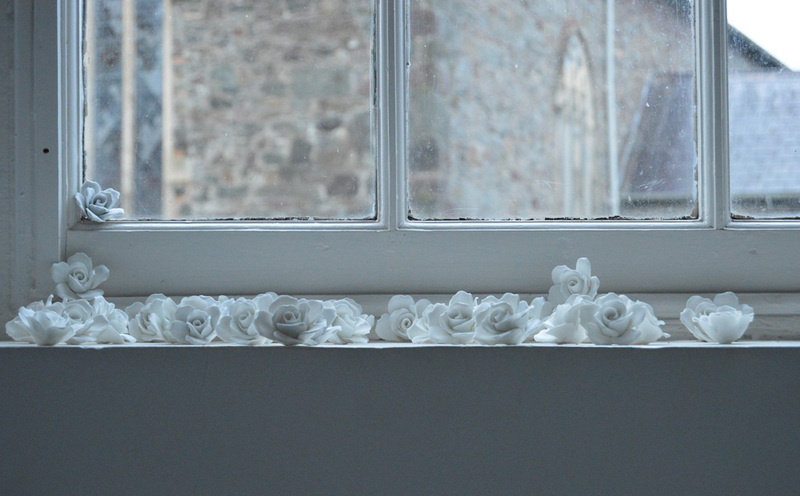 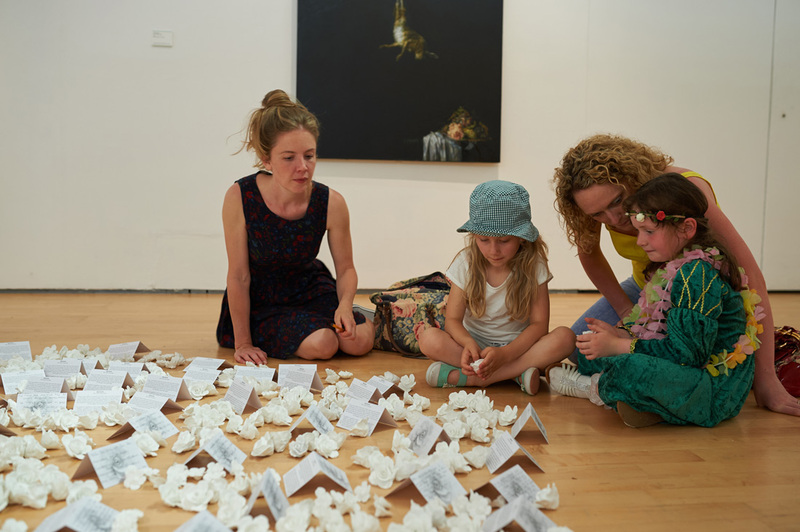 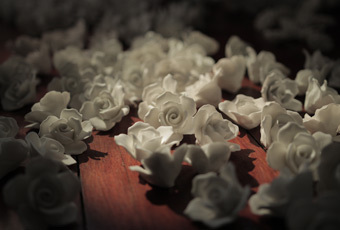 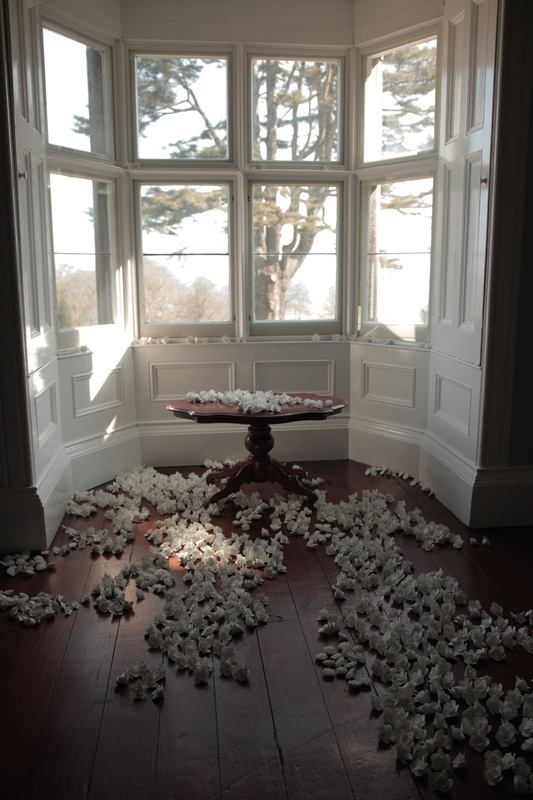 Commissioned by the Oriel Davies Gallery in response to Flora, Clare Twomey presented Memento a sea of 2000 beautifully-crafted ceramic flower heads that flow within and through the gallery space. 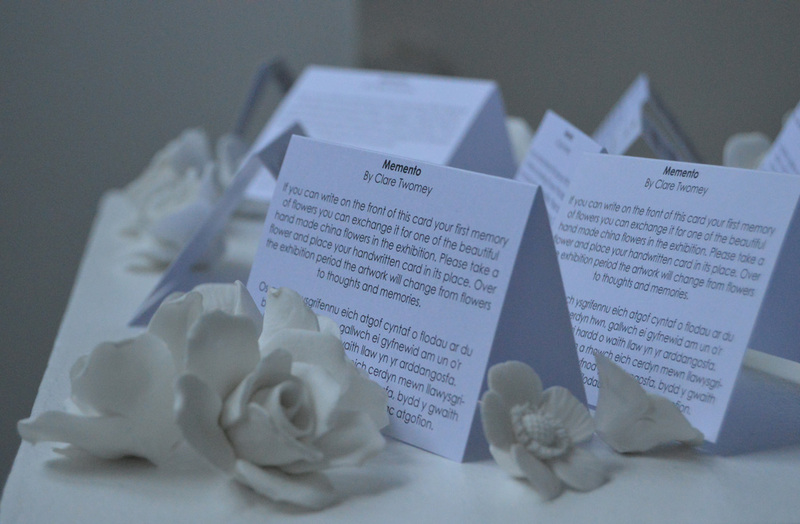 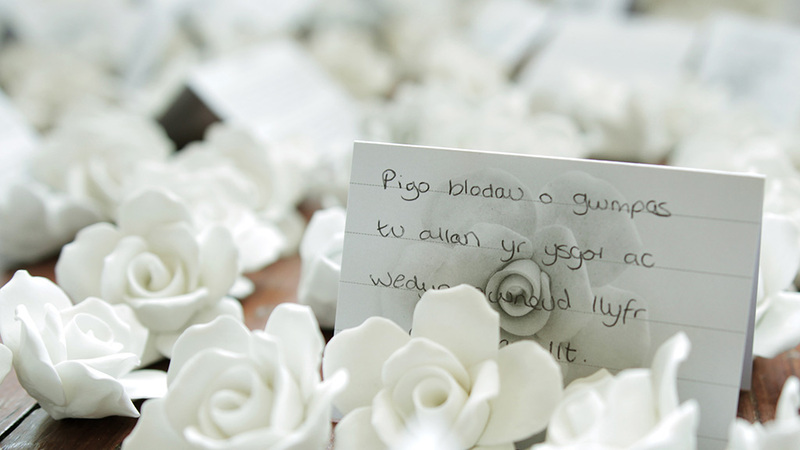 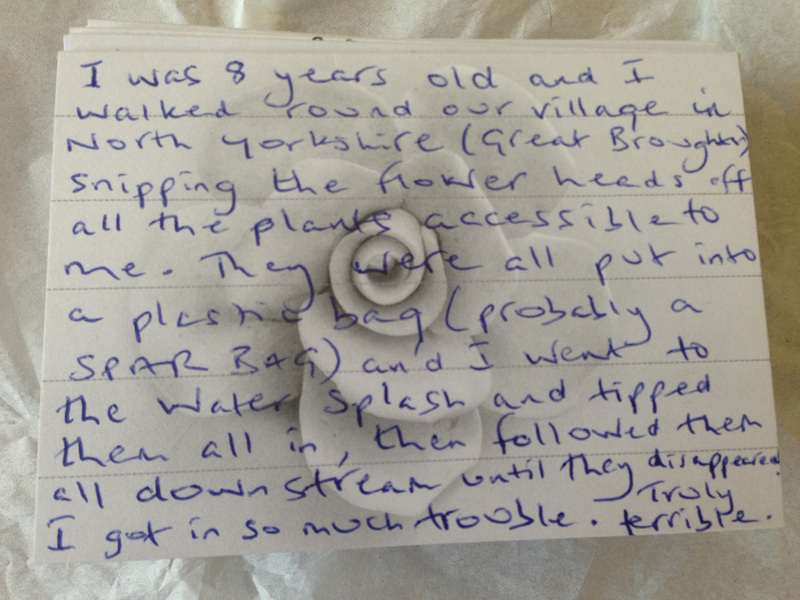 At each site the artist invited visitors to write or draw upon a card, leaving a story, poem, recollection or thought that conveys an association with their memory of flowers. 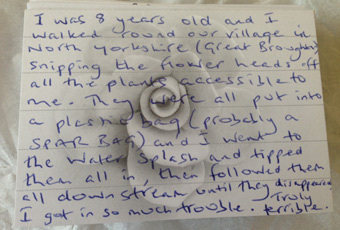 This is exchanged for one of the flowers and left as a marker where the flower once sat. 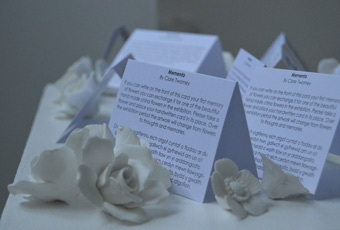 Like seeds, these flowers will be dispersed far and wide and oﬀer and each individual contribution marking the diﬀerent meanings, connections and relationships we have with flowers.